Britain's top share index rose robustly on Monday as HSBC led a rally in banking stocks after strong results, and investors awaited Chancellor Philip Hammond's annual budget. Hammond, who delivers the budget at 1530 GMT, will offer a glimpse of higher spending after nearly a decade of cuts to many public services. The budget could move housebuilders, retail and telecom stocks. The FTSE 100 was up 1.5 percent at 1033 GMT, on track for its best daily performance in a month and recovering some of the ground lost last week after a heavy sell-off hurt shares around the world. It was still set for its worst monthly drop since August, 2015 as overall investors and analysts remained pessimistic about earnings. 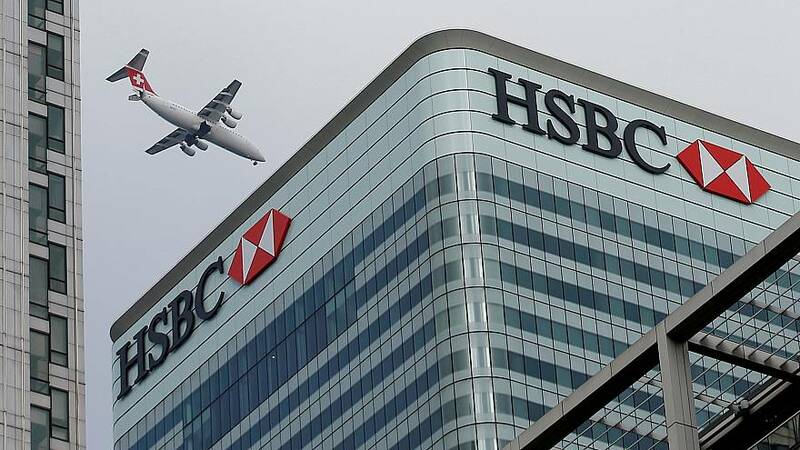 "HSBC was alright and there were a few earnings that weren’t as grim as they’ve been over the past few weeks," said Ian Williams, analyst at Peel Hunt. "But the crux is the tone of the statements from companies has been more cautious than everyone was hoping." British stocks tracked robust gains across European benchmarks. The region was boosted by S&P keeping its rating on Italian sovereign bonds, sparking a relief rally in bonds and bank stocks there. Europe's biggest bank by assets, HSBC, was the largest boost to the FTSE 100, jumping 4.6 percent after it reported a higher than expected 28 percent rise in quarterly profit, showing progress in its battle to control costs. "Profit growth has been broad-based across HSBC’s main banking activities, and what’s positive is that’s coming from a rising top line rather than simply cost-cutting, which can only deliver results for so long," said Laith Khalaf, analyst at Hargreaves Lansdown. Overall financials drove the lion's share of the FTSE 100 gains, with HSBC peer Standard Chartered up 3.3 percent and Barclays rising 2 percent. Just Eat shares tumbled 3.4 percent after Peel Hunt analysts cut the stock to a "sell", saying competition from Uber and Deliveroo could hurt the company. "Prompted by rumours surrounding Uber and Deliveroo, we postulate that the two of them (merged or otherwise, let's call them Uberoo), around the world, could create an Uberoo-esque wave that eventually sees the demise of Just Eat," they wrote. Among mid-caps, shares in vehicle fluid storage firm TI Fluid jumped 8.5 percent to the top of the FTSE 250, tracking a surge in Europe's autos and parts stocks after a Bloomberg report that China is considering halving the car purchase tax. Among smaller stocks, shares in flooring retailer Victoria sank 21.8 percent to their lowest level since July, 2017 after a trading statement flagged higher costs and weaker margins - yet another sign of strain from UK consumers' squeezed spending power. Shares in the Blackrock Latin American Investment Trust jumped 8.4 percent on the small-cap index after Jair Bolsonaro was elected president of Brazil in a result cheered by investors who see him as a business-friendly candidate.